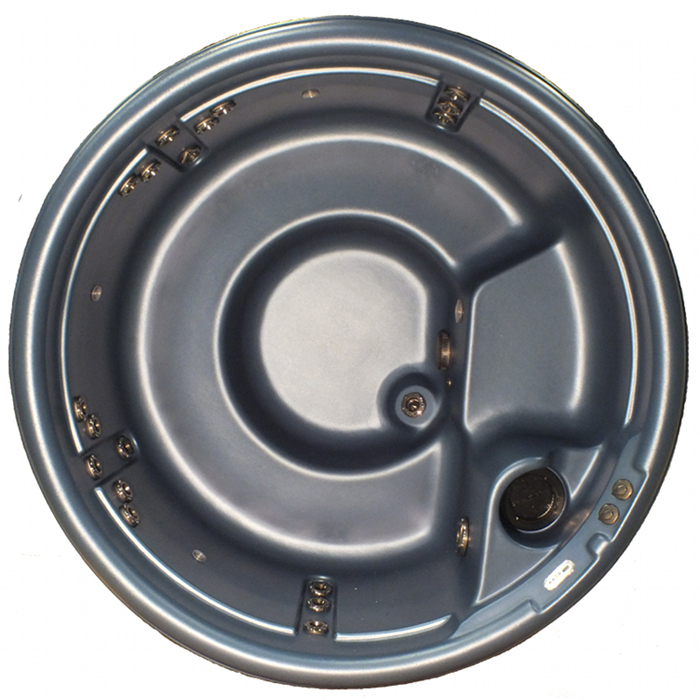 The Crown II™ Classic has a proven track record as one of Nordic’s most popular round models! This is the tub that the Robb Report selected by as one of the 5 best hot tubs made. Structured to maximize our DTS™ (Dual Therapy System), the Crown II™ Classic sets the standard for hot water therapy. Featuring barrier-free seating for up to 5 adults, the 21 jets are positioned to give targeted direct pressure massage. Nordic’s exclusive DTS™ provides whole-body, whirlpool therapy for soothing sore muscles, relieving stress and revitalizing your mind-body connection. The 35 inch depth allows you to fully immerse yourself for the most therapeutic hot water experience. The Crown II™ Classic is 110V/220V convertible and a 20 amp GFCI cord is available to order if you choose to operate your hot tub at 110V. Additional options include our Nordic Wrap insulation which reduces heat loss and an ozonator which reduces chemical consumption. Our Mood Lighting Package (MLP) is available as an optional upgrade which includes LED sconce lighting in addition to the LED footwell light. 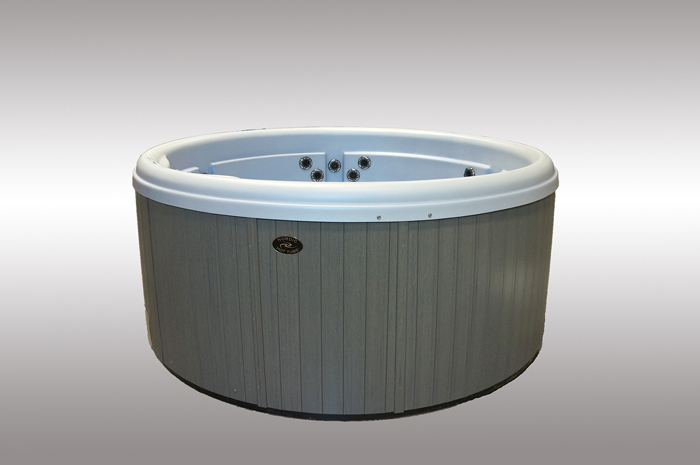 Our in.Stream2 Bluetooth stereo system is also available as an option on all our Classic Series round hot tubs. Stream your favorite playlists from any Bluetooth enabled device and let the combination of light, sound and water sweep you away. The Crown II™ Classic is available in all 9 shell color options with your choice of 5 PermaWood cabinet colors or a natural cedar option as an upgrade.